Syrian government forces killed 23 rebels near Idlib province on the 9th of November. This was one of the deadliest confrontations to take place in a buffer zone where a Russian-Turkish truce is to be enforced. An area northwest of Idlib, due to be de-militarized, witnessed this attack on a position held by the Jaish Al-Izza. Jaysh al-Izza, is a Syrian rebel group affiliated with the Free Syrian Army active in northwestern Syria. Idlib and its surrounding areas are the last remaining rebel strongholds in Syria. Many confrontations have occurred in the buffer zone, but this attack in November was the one which resulted in the greatest number of casualties inside the planned buffer zone. It is not certain what prompted the attack. It also did not appear to signal any large-scale government offensive or otherwise threaten the September 17 truce deal. The firefight continued throughout the night, and eventually, the government troops backed out of the buffer zone. A full-scale government assault was prevented because of a truce deal between Ankara and Moscow. It has been speculated that a full-fledged confrontation in Idlib may lead to the most terrible humanitarian crisis of this civil war. The middle-east has been a host to conflicts for a very long time. Be it the Bahraini uprising of 2011, or the recent Turkish military operation in Afrin, the ones who suffer are the innocent citizens. The chaos unleashed on the global system by the existential threat of terrorism in the last two decades can’t be ignored: The number of refugees around the world jumped to around 22.5 million, a metric the Institute for Economics and Peace claims is indicative of a world less peaceful than it’s been in more than a decade. It is the responsibility of the government to ensure peace, protect its interests and its citizens. The government may identify and apprehend terrorists, but they find it very difficult to find the top-bosses of the terror organizations. 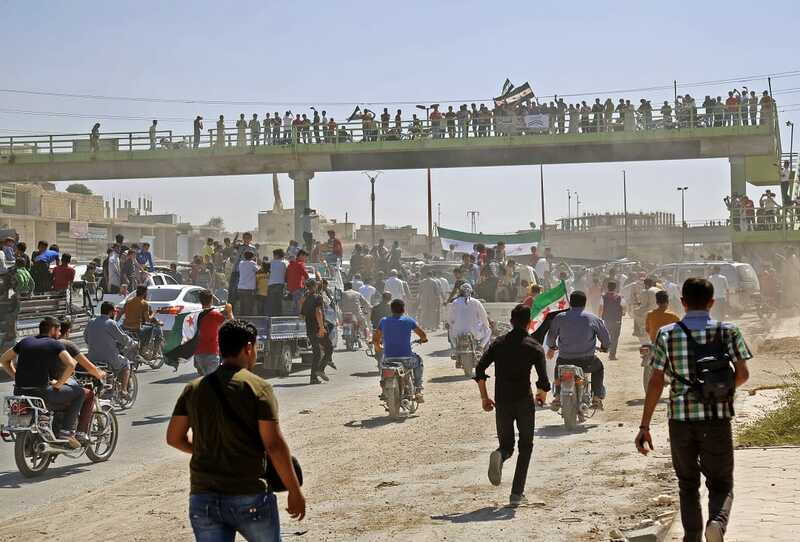 The case of Idlib is a special one as there is no obvious solution for Idlib, given a large number of jihadist militants entrenched there and the unacceptably high cost of any attempt to remove them. Even after spending a fortune on arms and national security, the menace of large-scale terrorism does not seem to go away. The governments must focus on emerging technologies, which are backed up by science, to help solve the most crucial problems which mankind faces today. To break the cycle of ongoing violence in Syria it is necessary that global organizations like the United Nations consider use of technology as an option for peacebuilding effort. There is a necessity for a technology can bring hope for peace in the Middle East. Brainwave Science is a company established with a mission and vision to supply technologies that can bring more peace to humanity at a global level. One such technology from Brainwave Science is iCognative – a ground-breaking technological innovation that uses memory related recognition brain patterns to equip law enforcement agents with a powerful intelligence collection solution. This advanced investigative facility offers rapid and accurate identification of criminal suspects using specific brainwave response. iCognative utilizes advancements made in the field of neuroscience to enable a highly accurate identification of a person by distinguishing what a suspect, witness, or victim truly knows. Moreover, the technology behind it is easy to use by law enforcement and provides valuable intelligence. In cases of national security threats, the iCognative technology enables agencies and officers acquire valuable relevant information out of suspects’ brain. The resulting impact of a solution that aids investigation and intelligence collection disciplines are an expedited and improved judicial process leads to an increase in the number of solved cases. This technological innovation empowers anti-terrorism agencies and other law enforcement personnel in interrogation and investigation by corroborating suspects’ testimonies and cross-verifying information on suspects. iCognative is the crucial missing link between forensic and biometric technologies. No other technology can determine, through reliable, objective, and scientific means whether a person has specific knowledge stored in the brain with over 99% accuracy. Using iCognative, the security agencies can find out if a testee is member of a terrorist organization. It can distinguish between an innocent and a perpetrator. Details including identities of other terrorists, plans for future attacks, dates and times of attacks; methods used to breach security; bomb-making knowledge all such information along with corroborated testimonies of others can be used as a stimulus to conduct iCognative test to elicit more information concealed in the brains of the suspects. iCognative is a powerful specific screening tool that identifies perpetrators before they commit the act. In the Middle-East and beyond, intelligent iCognative technology can prove to be a real sustainable help that will help the authorities gain important information, relevant to support them keep their nations safe from any threat.